If your Songs sound bad and are not comparable with today's quality standards? You have clicks, crackles, background noise, hiss or hum you don't get rid of in old audio or live recordings? I Remaster your old Music Files recorded from Vinyl, CD or Tape and rebalance the audible frequency spectrum, optimize dynamics and loudness levels, to bring your Audio to the next level. I use top notch Mastering techniques and improve your audio quality for new loudness target standards optimized for Streaming(Spotify, Apple Music), Download shops or CD. Because even your old music recordings deserve the best possible audio quality. Use my service now, and save time and nerves. since you don't have to use the remastering software yourself. Get your music upgrade to current sound standards. How to remaster your Song to get a better sound? Do you think your old mixed and mastered songs could sound better? Your old Audio gets Re-Mastered, by using top notch remastering software and Plugins. I will enhance the audio quality to get the best results out of your old recordings from the 70s, 80's or 90's, to optimize the music for the future. + Loudness Optimization, Adjusting Tonal Balance, Adding punch and sparkle to previous audio material. - Wipe out unwanted distorted frequencies, background noise and clicks and crackles. Order your Affordable and cheap audio remastering today. What does remastered Music mean? Here you get a explanation for the phrase remastered music. Learn what it means to remaster a song. Audio Remastering (also Music Re-Mastered, digitally remastered and digital remastering) is about restoration and cleaning up poor quality audio and improving the existing character of a Song or Album by processing a new Mastering chain to reach new sound quality standards. Fine tune the Material: If a previously created Song is remastered the sound quality, loudness and dynamic range will be enhanced by editing with a Compressor, Multiband Compressor or Limiter. To Rearrange and correct the frequency spectrum, a Dynamic Equalizer or Mastering EQ is used to optimize the low-end of a track and bring shine to the transients in the highs. By doing Pan Correction the Stereo Image of a Track get's increased to sound wider and more clear. Restoration: A part of the remastering process is Audio restoration, in this step the Audio File get's edited by doing Noise reduction, Click and Pop removal and erase short Drop Outs. 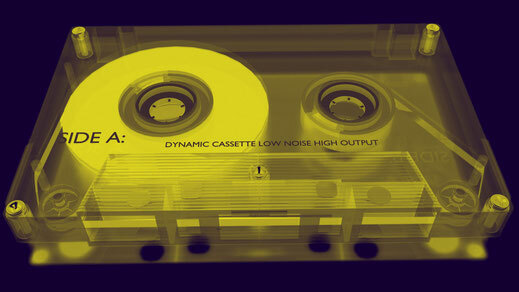 Sound Recording Medium for remastered Music: The Remastered Version of a Song can be made out of old Vinyl, Tape or CD, by transferring the record to a audio computer. Remastering music can be an option for artists and record labels, to get a optimized version for CD or streaming services like Spotify, Apple Music, Deezer, Tidal and download shops like Beatport, Itunes, Amazon or Bandcamp. Please consider if your old recordings lack in sound quality to newly released music. Remastering is not about the maximum loudness, it's more about enhancing your old recording process with new mastering techniques. If you think we can reach a better sound quality for your Album from the past, book my service or first send me a message if you have any questions. Remastering problems can occur when your recordings have very strong distortions. These distorted sounds, also called clipping, are hard to fix. In this case audio information has been deleted or has become unusable due to too hot recording levels / overcompression. Imagine an artist has painted a picture and a part of the picture is missing now. That's exactly what happened to your piece of music, then it's almost impossible to restore acceptable quality. Exactly the same is valid for very bad mp3 quality, also then information is lost and cannot be simply restored. More about this in the next section. If you are unsure about your song, better send me a message before ordering. Remastering MP3 is not the best option, because it is a lossy file format. That means some vital sound pieces and information are already missing. If you don't have another file format, I can remaster your mp3's. But please ensure yourself, that you don't have a lossless sound recording on your Hard Drive. I definitely can reach much better results while remaster your music, if you can send a 16, 24 or 32 Bit Wav file or other lossless sound file formats. - A remaster is the optimization of an existing original Song, by tuning the Audio quality by new Audio Mastering techniques. -A Remake is something completely different. It's a new composition of an original Song, by adding new Instruments and drums or recording new vocals by another singer. Improve the quality and order your Re-Mastering Now! How to transfer lossless audio from a CD ? Before starting the remastering process you have to convert your CD(Compact Disc) to a lossless audio file. It's not possible to transfer a .cda file (the file you see if you open a audio CD on a computer or laptop) from a CD just with a mouse click. You have to download a software like Exact Audio (EAC), a so called audio grabber. After the installation its possible to rip data from your audio cds and transfer the sound files uncompressed as a .wav file. You don't have to pay for the program, its free to download! 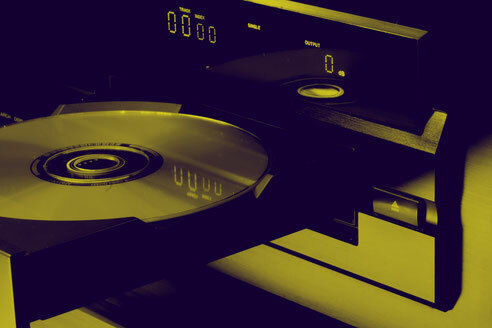 How to convert Vinyl to a digital format ? 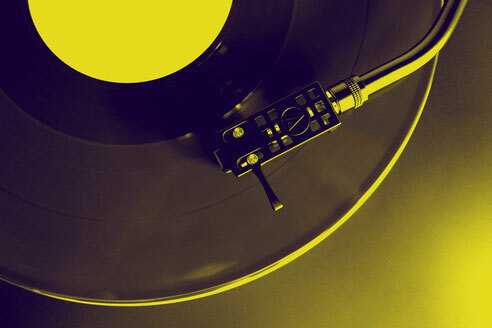 If you plan to remaster audio files from old Vinyl recordings, you have to digitize your songs. Here is a step by step guide, how to reach that target. First, you need an excellent record player and clean vinyl to digitize the audio files. Nowadays in the turntables mostly good Quality preamps are already installed. Using the cinch cable and jack, you can use an audio input from your computer to access the digital audio material. Instead of your rather poor standard build in sound card, you should use a professional audio interface to record the vinyl. These sound playback and recording interfaces are one of the most essential tools of professional musicians. Do you prefer the first variant to record over turntables and cables you still need software to control the sound recording or editing. If you are a music producer you can use almost any DAW like Cubase, Protools, Logic, FL Studio, Reaper, Ableton and many more. There are also programs that specialize in vinyl recording such as Pure Vinyl and Vinyl Studio. The cheapest option would be to use good old Audacity. After the recording process the individual songs have to be separated and converted into a lossless format like aiff, wav or flac. *** don't convert your audio to mp3s, because you lose sound quality. If you are not satisfied with the digitized recording? Then mastrng.com comes into play. Did you have problems with, scratch, rush, crackle, noise, buzz? We can help you optimize your recorded songs so that the sound quality continues to increase. We can make the best out of terrible acoustical errors and save your vinyl recording!